Haven and Hearth is a free to play survival based MMORPG that will have you fighting to survive in an unforgiving game world with permanent death. You will have to fight off animals, hunger and other players. The game is being developed by Jorb and Loftar and takes place on a persistent single server. 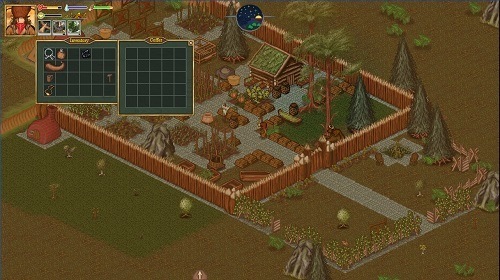 Haven and Hearth is free to play and offers plenty of unique features that create a realistic experience. The games focus is on two core gameplay aspects, permanent death and lasting changes to the game world that make you feel like you have an impact on the game. Buildings you create will stand tall unless destroyed by another player, caves that you create will stay as part of the terrain and trees won’t respawn without planting. You’ll start your game journey with nothing and spawn in the middle of a vast wilderness with only basic tools to help you get started. Slowly as you come to terms with the game world you will develop new skills and abilities to enhance the tasks that you have available. 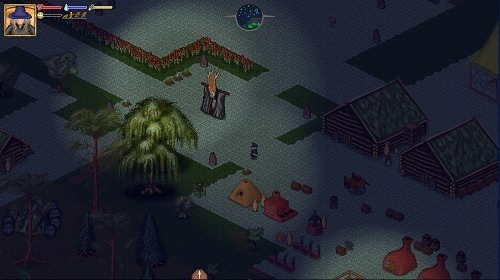 Eventually players can claim land, construct various buildings and start harvesting crops. Your character is a blank slate at the start of each game, although it will inherit some stats if you have previously had a character and died. As you would expect you must collect experience in order to learn new skills, which is earned by discovering new things in the game world. On top of these skills, players have their own beliefs which serve as passive stat bonuses in a variety of areas. In Haven and Hearth you can do whatever you want and pursue any goal that you set yourself. Want to focus on trespassing on people’s claimed land without getting caught? Want to build a thriving community? Want to battle the unfriendly animals in the wilderness? Want to create your own mining complex? You can do that and so much more within the game. The endless number of choices makes Haven and Hearth an amazing game and the free price tag only sweetens the deal. A free to play survival MMO. Permanent death makes for a great challenge. Create your own home in the persistent game world. Freedom to do whatever you want.